Posted 27th February 2018 & filed under Blog. 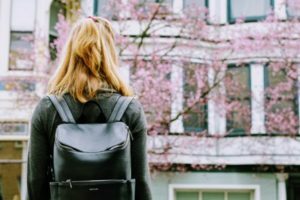 Large numbers of students say that their mental health has suffered because of not having sufficient funds to live on, according to the findings of a recent survey by student finance website Save the Student. This pressure is mainly driven by housing costs, which are leaving large numbers of students unable to fund their living costs unless they work part-time or/and rely on contributions from their families. One of the most striking themes that the survey picked up on was the size of typical student rent bills in comparison to maintenance loans. Previously, students were given a grant to cover their living costs which was separate from the student loans that pay tuition fees (and was means-tested on the basis of parental household income), but this system has now been replaced with a new one of maintenance loans (which will need to be repaid by the student, unlike the grants). The survey suggests that the typical student who lives away from home in London ends up paying £220 per week in rent (almost £11,500 per year), which is more than the maximum maintenance loan that this kind of student can receive under the current system (£11,002). Typical rents are significantly cheaper in all other areas of the country, from the most expensive (the East of England, where they average £7,800 per year) to the cheapest (the North East; £5,720), but as the maximum possible maintenance loan you can receive if you live away from home outside London is capped at £8,430, housing costs can still gobble up the vast majority of it in all but the cheapest parts of the country. Nationally, almost half (44%) of students said they struggle to keep up with their rental payments; almost exactly the same proportion said that their mental health had suffered as a result of high housing costs, while nearly a third of all the respondents (31%) said that their studies risked being affected by these problems. Time to change the debate? The survey also suggests that most of the students who replied did not feel they received value for money in return for their rent, whether they were living in a university hall of residence or renting privately. Interesting, only 8% of the people who responded to the survey said they lived at home with their parents, which – geography permitting – is the most obvious way of avoiding high student housing costs, although at a cost to the student’s sense of gaining adult independence. Instead, the survey findings suggest, most students still choose to live away from home, but when looking for financial, moral or practical support to deal with high housing costs and their knock-on impacts, 43% of respondents turned to parents, 32% used university services, and 30% went to friends. Although this survey only provides a brief snapshot of the scale of the problem, and it’s hard to assess the representativeness of the students it spoke to, the gap between typical student rents and maintenance loans in most areas of the country is worrying, as it suggests that many students could be facing tremendous pressure to finance their studies on a day-to-day basis. Such problems are likely to be particularly acute for those whose families are on low incomes, who will almost certainly be less likely to be able to offer financial support. While working part-time has increasingly become the reality for many students, the proportion of survey respondents who said their mental health was suffering could suggest that the pressure which such tight financial arrangements place them under is too much for many. These findings provide an interesting contribution to the student finance debate because the discussions about tuition fees and the repayment system are largely divorced from the separate matter of the amount of money which young people have in their pockets while they are actually studying. Given that this is probably the thing that has the greatest bearing on their overall mental and physical health and wellbeing in the immediate term, it is an issue that urgently needs to be looked at again.